Bye-bye, brunette! 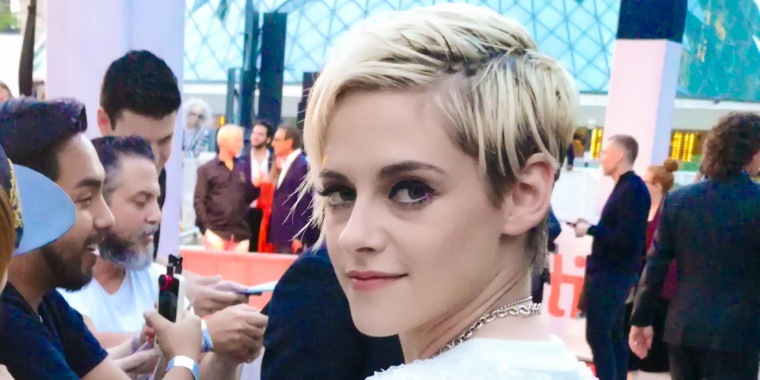 Actress Kristen Stewart is back to blond. The star, never one to stick with hairstyles for long, debuted a platinum pixie cut over the weekend at the Toronto International Film Festival. Stewart's no stranger to significant changes when it comes to her hair. The actress has been a blonde, brunette, redhead — you name it — but her latest look isn't one to gloss over. With sideswept bangs and just a hint of dark roots showing, Stewart looked gorgeous on the red carpet, where she was attending the premiere of her latest film, "Jeremiah Terminator LeRoy," in which she plays a woman impersonating a famed author. Most recently she was showing off a darker look, like this unique updo from the Cannes Film Festival in May. Yet this isn't the first time that Stewart has tested out life as a blonde. And yes, there was even a redhead phase, if you dig far back enough in Stewart's archives. Here she is in 2012 while promoting "On the Road." So if you're looking for some inspiration to play with your own hair color, well, look no further. We're not sure how long this latest look of Stewart's will last — but for now, it looks great!